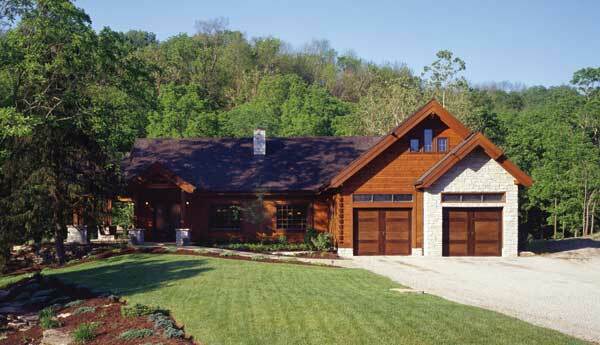 Landmark Log Home Plan by Landmark Log Homes Inc. 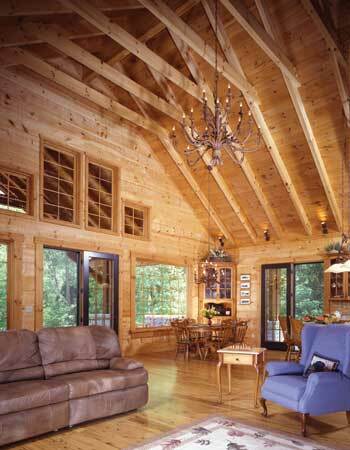 This luxurious lodge-style design encompasses the many details that a log home lover expects, with heavy timber trusses and large rooms with an ergonomic flow throughout. Designed for easy living, it has plenty of glass to afford spectacular views. 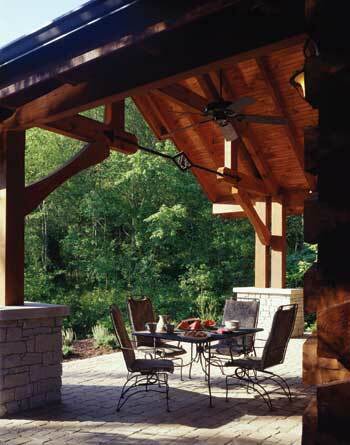 The Landmark also offers the comforts of a cabin for the active outdoor enthusiasts, providing spacious porches for recreation and enjoyment, as well as handy entrances to the mud room area and garage. We invite you to visit this model to experience the Landmark difference and to see why we are redefining the log home lifestyle. Call us today for an appointment.